Today was the day all Utah-dom celebrates the arrival of Mormon pioneers into the Salt Lake Valley. By all accounts the trail from the mid-west to the west was of triumph and tragedy. These were stalwart people, these ancestors of mine. 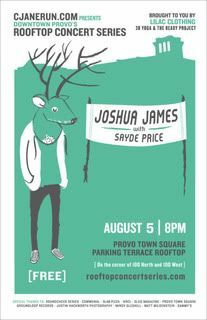 All over Utah on the 24th of July there are celebrations from Salt Lake's Days of '47 to the tiniest towns dotting the intermountain west. We used to spend our Pioneer Days with the congenial people of Walsburg,Utah when we had our family homestead up the canyon. But these days I've done next to nothing to acknowledge this state-wide holiday--maybe a sparkler or two--nothing brilliant. Today was no different, we woke up and decided on doughnuts as a holiday breakfast. While The Chief and Chup went in search of some Old Fashioned and Sprinkled, Ever and I dutifully watched the Days of '47 parade broadcast from Salt Lake. I lounged on the couch while she squealed at all the floats bedazzled in sequins and studs. After breakfast, I weeded a bit while Chup sprayed out the shop vac in the front yard. The Chief and Ever ran in circles around us both until they were entirely muddy and drenched. I gave Ever a kitchen sink bath and scrubbed in between her dirty toes. At nap time I went to lunch with my friends. For nearly two and half hours we talked about everything from womanhood to eternity. I don't think we solved any problems, but it's enlightening to sit hash out the big stuff. Did the women pioneers get to chat while they pushed and pulled their family to the desert? Did they serve as trail companions to each other? Did they answer one another's moments of reflection, "Why am I doing this again?" It sorta felt that way today, at lunch. Later in the day we went to the mall for watch-fixing and gadget repair. Unlike the pioneer parents we were concerned that our children hadn't expended enough energy in one day's time. So we chased them up and down the corridors of the mall until they shuffled. We met up with Justin Hackworth at BYU for a personal tour of his 30 Strangers project. Chup ended up corralling the children while I listened spellbound to each story behind his photos. I told Justin this, "First you are a photographer, but second you are a storyteller" and that's what makes his art so intriguing. After our tour was over, Mindy Gledhill showed up for her tour. We exchanged birthing stories and fantasies. I have the dream of having an unassisted birth with just Chup and me--and maybe my sister Page for female support--like I imagine the pioneer women, who birthed as it came. Then Ever smashed her fingers in the gallery's opening doors and her screams echoed throughout the entire BYU library. We rushed to the car where we found that a bandaid wasn't needed, but an ice cream was. So we finished the day with ice cream cones swirled in green apple, chocolate or vanilla flavors.The kids were pleasantly exhausted. The ending of this story is this: my day was one of luxury and enlightenment, work and rest, technology and toys, family and friends. Nothing fancy compared to today, but certainly fancy compared to one hundred and sixty-four years ago. I'd like to think my ancestors wouldn't have me celebrate them any other way. 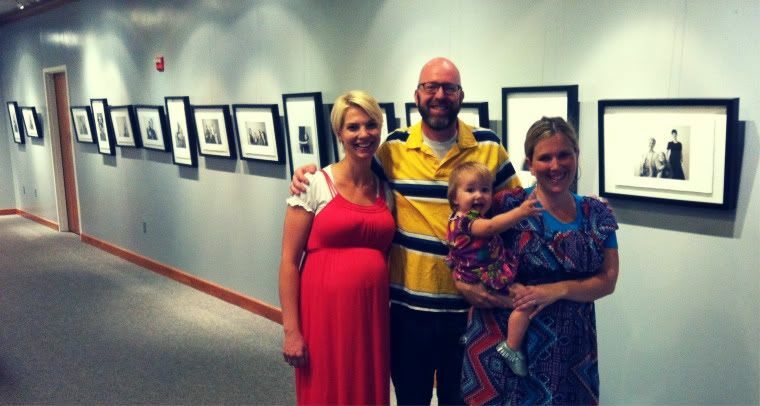 *while it may look like the photo above is a modern (AND FERTILE) Mormon polygamist arrangement at a photography exhibit, new readers to my blog will be happy to know that it's actually a photo of Mindy Gledhill, Justin Hackworth, Ever Kendrick and me this evening at the 30 Strangers Exhibit. Besides Ever, each of us have other spouses not pictured--and one each--thank you very much.